This 10 micron fuel filter element is used on many Textron applications. 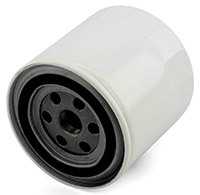 It is a direct replacement for the Williams MPE-850 fuel filter, and offers better filtration capabilities. It’s capable of 90 gph, and has a 90% efficiency rate of separating fuel / water.